LendingTree study analyzes the savings available by comparing mortgage rates across the country. If you are shopping for a home in San Francisco, taking the first mortgage offer you receive and not comparing it could cost you nearly $100,000 in interest over the life of your loan. In Cincinnati, it could cost you nearly $24,000. 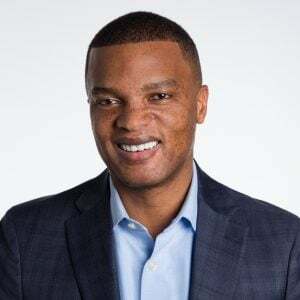 LendingTree, the nation’s leading online loan marketplace, allows consumers to shop around and compare mortgage offers, potentially saving them thousands of dollars. As interest rates rise, the amount of money consumers can save by shopping around and comparing offers can change. 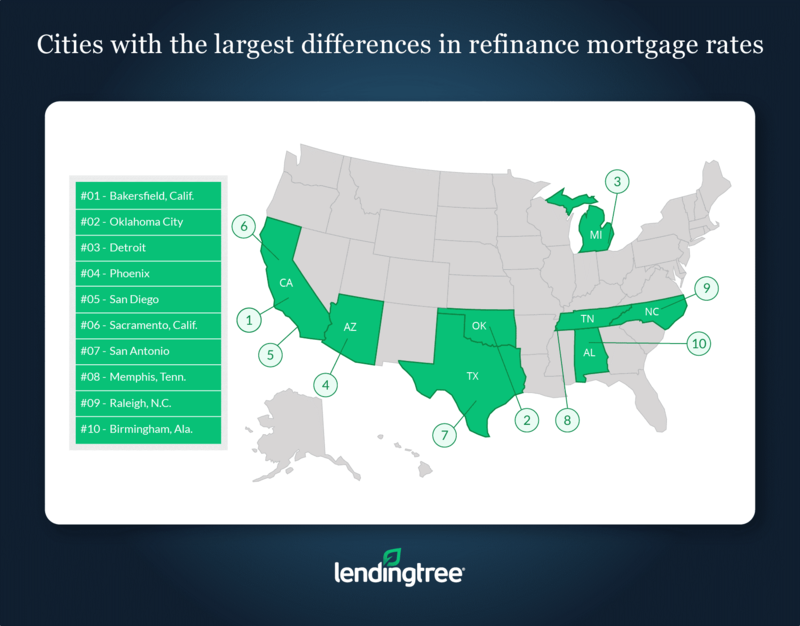 To help consumers understand how much they can save, LendingTree created a Mortgage Rate Competition Index — it measures the basis point spread between high and low APRs offered to users through the LendingTree marketplace. This report uses that index to analyze the rate difference and dollar savings for the 50 largest metropolitan areas in the United States. We review the same rate difference and savings on a national basis in our weekly Mortgage Rate Competition Index. Homebuyers in Cincinnati and Houston had the biggest potential rate savings by comparing competing offers. Rates in Cincinnati had a range of 64 basis points, followed by Houston at 61, then San Antonio, Dallas, Phoenix and Chicago at 58. Comparing mortgage offers before buying saved the most money in California. Large loan sizes fuel lifetime savings of $99,544 in San Francisco, $75,330 in San Diego and $72,557 in Los Angeles. Significant savings for purchase borrowers in every city. The index ranges from 42 basis points in New Orleans to 64 in Cincinnati. Monthly savings up to $279. For borrowers in San Francisco, a spread of 51 points translates into $279 a month, given the median home price of $900,000. Even less expensive cities register meaningful savings. In Detroit, a low median home price of $150,000 and narrow spread of 45 points still adds up to $14,729 in lifetime interest savings. Individual borrower results will vary. Our method uses median values, so half of borrowers would see smaller savings. But, just as important, half could see larger savings. There is no way for a borrower to know where they fall in this spectrum without shopping around, so it is imperative to compare offers. With a median home price of $169,100, borrowers here could save $67 in monthly payments, adding up to $798 a year. Lifetime interest savings would be $23,672. With a median home price of $233,900, borrowers here could save $88 in monthly payments, adding up to $1,053 a year. Lifetime interest savings would be $31,217. With a median home price of $220,700, borrowers here could save $78 in monthly payments, adding up to $941 a year. Lifetime interest savings would be $27,918. An index of 0.51 and median home price of $900,000 adds up to savings of $280 in monthly payments, totaling $3,357 a year. An index of 0.57 and median home price of $607,000 adds up to savings of $212 in monthly payments, totaling $2,540 a year. An index of 0.56 and median home price of $595,100 adds up to savings of $204 in monthly payments, totaling $2,447 a year. With a median home price of $234,000, borrowers here could save $116 in monthly payments, adding up to $1,389 a year. Lifetime interest savings would be $41,163. With a median home price of $158,800, borrowers here could save $70 in monthly payments, adding up to $839 a year. Lifetime interest savings would be $24,893. With a median home price of $150,000, borrowers here could save $66 in monthly payments, adding up to $788 a year. Lifetime interest savings would be $23,383. An index of 0.67 and median home price of $900,000 adds up to savings of $368 in monthly payments, totaling $4,414 a year. An index of 0.71 and median home price of $607,000 adds up to savings of $262 in monthly payments, totaling $3,142 a year. An index of 0.67 and median home price of $595,100 adds up to savings of $244 in monthly payments, totaling $2,923 a year. What is the Mortgage Rate Competition Index? The LendingTree Mortgage Rate Competition Index is a proprietary measure of the dispersion in mortgage pricing. It measures the spread in the APR of the best offers available on LendingTree relative to the least competitive (i.e., the highest) rates. Our research shows that mortgage rate competition varies with the financial and operational measures of activity in the mortgage markets. 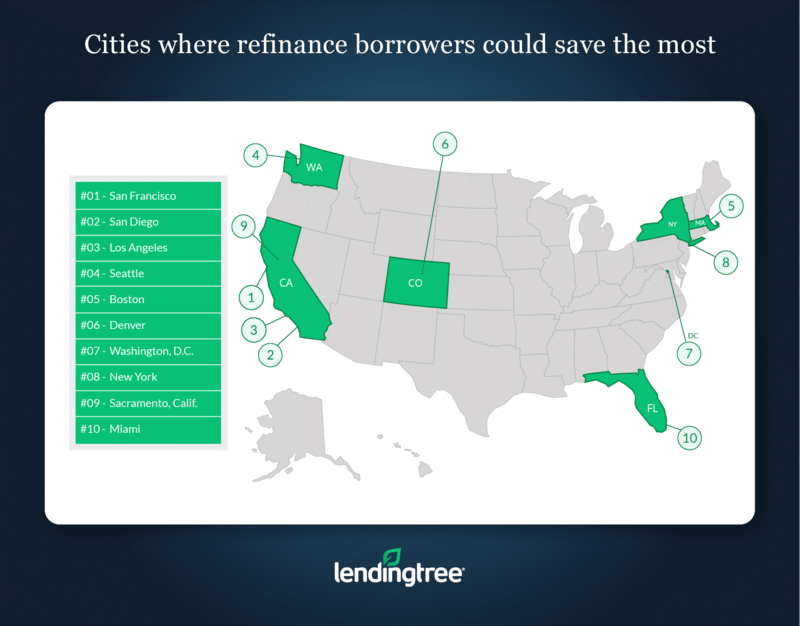 More details on the index are available in a white paper on the LendingTree website. How is the index formulated? The spread is the difference between the highest and lowest offers. In this example, 4.62-4.21 = 0.41. We repeat this calculation across 30-year fixed-rate loans and then find the median of the individual spread, which is our index value. This is done separately for the population of purchase and refinance loan requests.